Time flies and how. Year 2018 has already arrived and many of us find so many things which we had resolved to complete, still in the pipeline. Nevertheless, it is always better to be late than never. Our Shraddhavan volunteers are doing a fine job of balancing their profession alongside the devotional services (seva) offered by them from time to time. 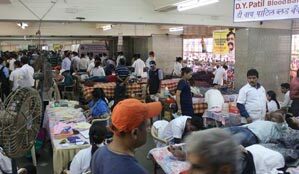 Blood Donation is one such noble cause which the volunteers are ever eager to lend their helping hand to. In this issue we shall have an overview of the Blood Donation Camps vis-à-vis statistics of units of blood collected during the year ending December 2017. I also take this opportunity to wish all my Shraddhavan friends a very Happy New Year enveloped in goodness, wellbeing, positivity and peace. 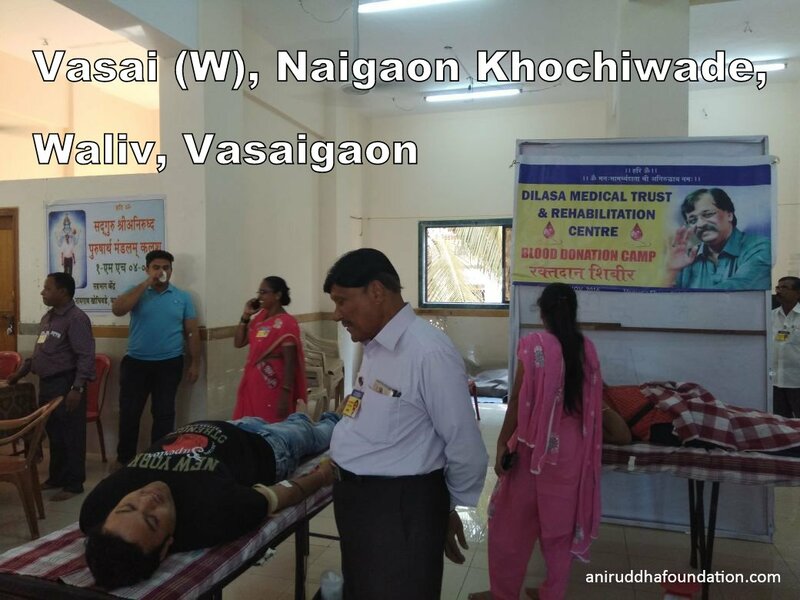 A total of 94 Blood donation camps were organised by various upasana centres of Shree Aniruddha Upasana Foundation and by the end of December, 12,343 units of blood have been collected and distributed to various Blood Banks during the year. 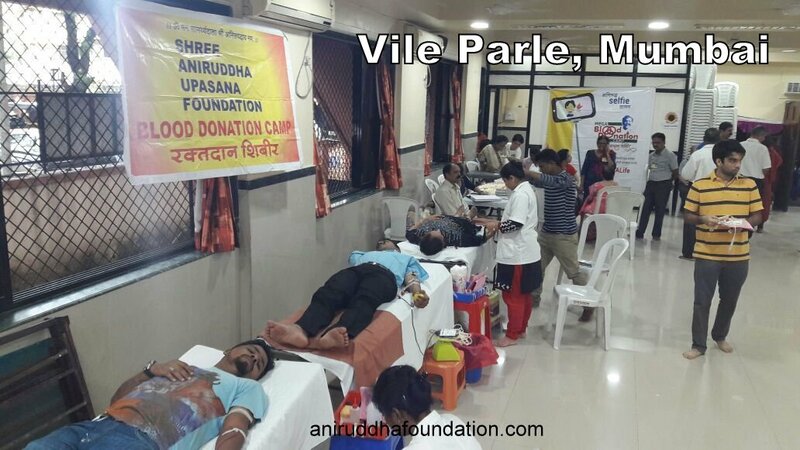 This includes 5288 blood units collected during the Mega Blood Donation Camp organized by Shree Aniruddha Upasana Foundation on 16th April 2017. 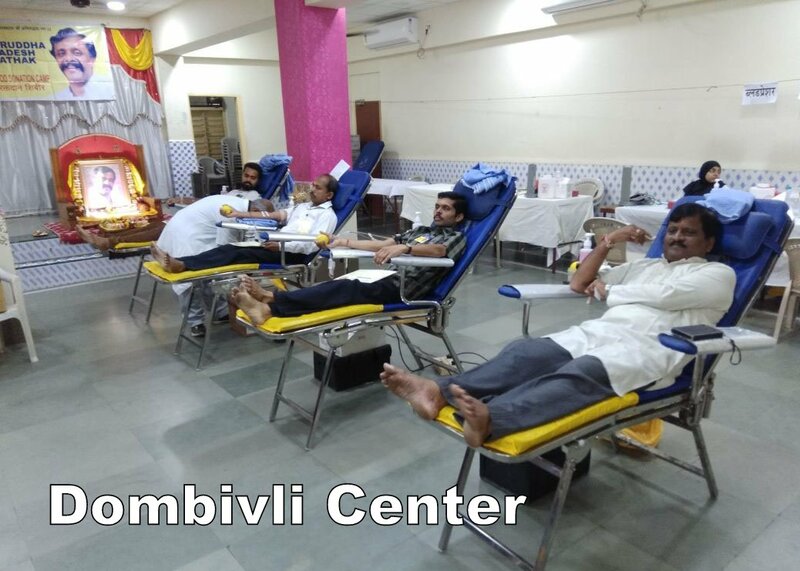 These blood donation camps are being organized since the year 1999 under the guidance and inspiration of Dr. Aniruddha D. Joshi (Sadguru Bapu). 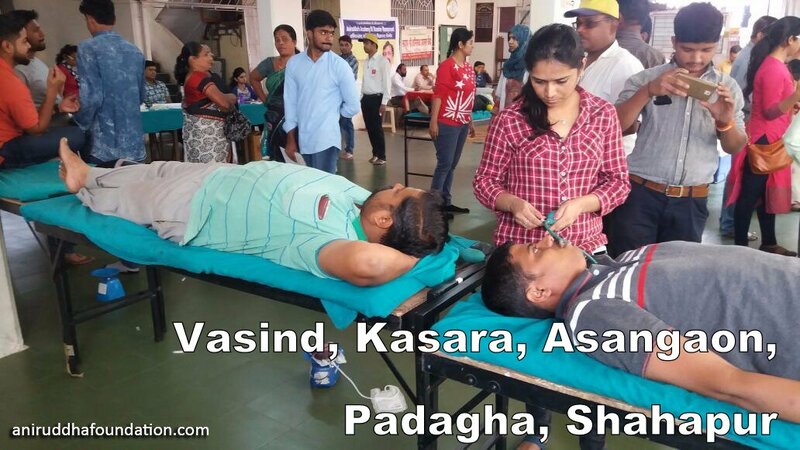 The year 2015 proved to be a memorable one as a major milestone was achieved with the overall donation of blood bottles crossing 1,00,000 across all the Aniruddha Upasana Centres. Given in the table below are details of blood units collected during the last five years. At AADM Office, Dadar from 11th December 2017 to 17th December 2017. 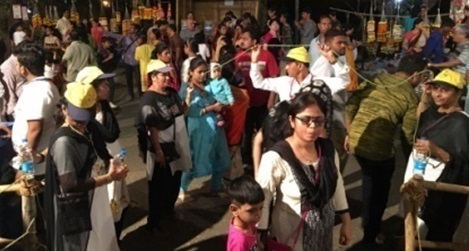 At the request of Shree Mahalaxmi Temple Trust and Gamdevi Police Station, Aniruddha’s Academy of Disaster Management offered the seva for controlling traffic and crowd at Shree Mahalaxmi Temple, Mumbai during the month of Margashirsh on all 4 Thursdays i.e. 23rd, 30th November, 2017 and 7th, 14th December 2017. 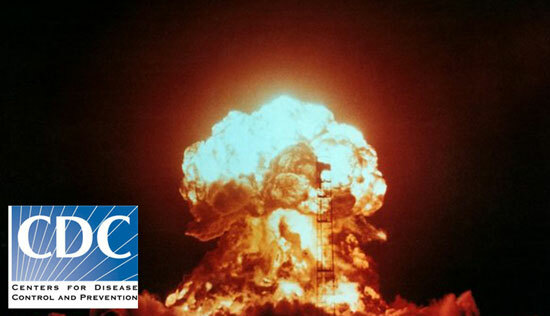 Aniruddha’s Academy of Disaster Management deployed 202 Disaster Management Volunteers (DMVs) during all these days. 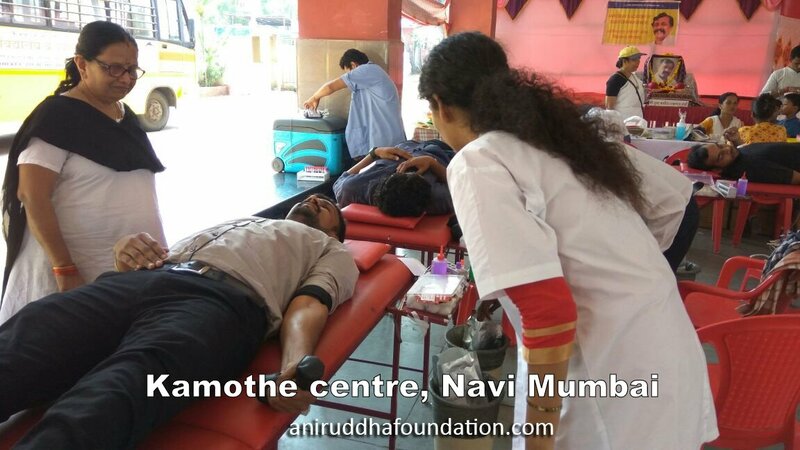 On the request of Dattaguru Mandal of Airoli Datta Mandir, Aniruddha’s Academy of Disaster Management (AADM), offered seva for controlling crowd at Datta Mandir, Airoli, Navi Mumbai on 3rd December 2017 from 5.30 pm to 10.30 pm. AADM had deployed 32 DMVs. The devotees and the Dattaguru Mandal appreciated the services of the DMVs. 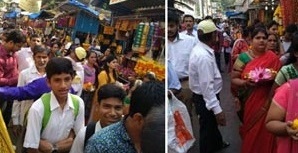 On the request of Shree Datta Mandir Trust, Sarangkheda, District Nandurbar, Aniruddha’s Academy of Disaster Management offered seva to assist the Trust’s officials and Police authorities in controlling crowd on 9th and 10th December 2017 on the auspicious occasion of Shree Datta Jayanti Yatra. Aniruddha’s Academy of Disaster Management, deployed 46 Disaster Management Volunteers on both days from five Aniruddha Upasana Kendras, viz., Taloda, Torkheda, Shahada, Kothali and Nandurbar for controlling crowd and other emergency services. 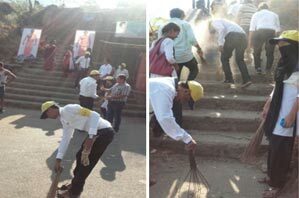 Every year, on 31st December all Upasana Kendras of Raigad district carry out Raigad Fort Cleanliness Drive. This year too, 217 DMVs from eighteen Sadguru Shree Aniruddha Upasana Centers participated in Raigad Fort Cleanliness Drive on 31st December 2017. This was the 15th year of this drive. 1. 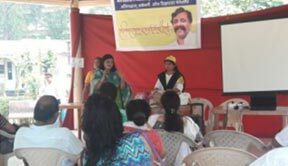 On the request of Chikuwadi Residents Welfare Association, Aniruddha’s Academy Of Disaster Management conducted a vermiculture demonstration at Chikuwadi Residents Welfare Association, Jogger’s Park, Chikuwadi, Borivali (W), Mumbai – 92 on Saturday, 9th December, 2017 at 11.00 a.m. 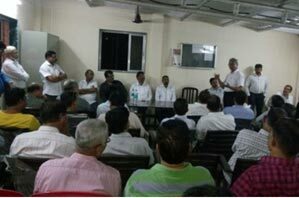 It was attended by A.E.s of MCGB and members of 10 housing societies. An audio-visual presentation of the project was also shown to the participating members. 2. 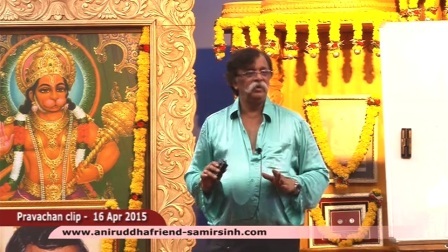 At the request of Shri. Anant (Bala) Nar, local Corporator and Chairman of Improvement Committee, Aniruddha’s Academy of Disaster Management conducted a Vermiculture awareness demonstration at MHADA Colony, Jogeshwari East, Mumbai on Saturday, 9th December, 2017 at 8.00 p.m.
Members of 5 to 10 housing societies attended the said meeting. Shri. Anant (Bala) Nar, expressed his willingness to start the Vermiculture Project in his society. 3. On the request of Police Training Centre, Marol, Aniruddha’s Academy Of Disaster Management conducted a Vermiculture Demonstration on 20th December, 2017. Through audio-visual presentation and practical demonstration, the simplicity and economic viability of the project for management of waste was explained to the participating members. 38 members of the Police Department and 8 gardeners were shown the presentation It has been decided to start the project by using the canteen waste and by construction of two pits of 20’ x 8’ size. 1. 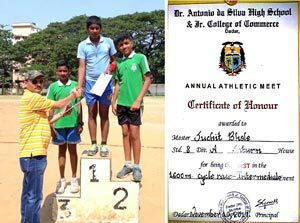 Heartiest congratulations to Suchitsinh Bhole, son of Pallaviveera Bhole for securing 1st Prize in 1600m Cycle race event.